For youth prospects at Norwich City, the bridge between the youth teams and the first team has never seemed easier to cross. Rewind to just over a year previous and interim boss Alan Irvine was dismissive to the quality available in the academy. Many saw it as a damning indictment to Norwich’s stagnation. Fast forward a year and Norwich have sold a 21-year-old for a fee reported to be north of £20m, Jamal Lewis has emerged as a reliable first-team option and Max Aarons, Todd Cantwell and Ben Godfrey have all played roles in preseason. Some would argue this is due to an overall downgrade in the overall ability of the playing squad, others would be keen to highlight the work of the club’s hierarchy and academy staff. As is with football, it’s very much glass half full or empty. One man who has found that bridge a stretch too far to cross is Gorleston born goalkeeper Remi Matthews. The club slammed the ball into the 24-year-old’s court, but after a wobbly pre-season, Norwich opted to recruit a more experienced and internationally recognised keeper in Tim Krul. The situation has been micro-analysed and debated in all quarters of Norwich City social media, with some emphasising with Matthews. Many supporters have cast a judgement of a player that the majority haven’t seen play. Yet, in typical Chinese whisper fashion, opinions were formed – rightly or wrongly – on snippets of performances and fan accounts. Norwich’s decision on Matthews wouldn’t have been formed purely on his pre-season displays. Consultation would have been had with their specific goalkeeping coach, Ed Wooten, who would have offered an analysis on his performances in training alongside intense analysis of his training displays. Farke wouldn’t have received much sympathy had he opted to stick with Matthews only for him to make mistakes. The fact Aston Oxborough has been handed a squad number suggests a loan may be on the cards for Matthews. It was candid, it was brave and it was probably the correct call. Those who consumed Matthews’ performances at Plymouth will have had concern over his ability to distribute the ball. For a goalkeeper, that seems like madness, but Norwich’s style requires a goalkeeper comfortable in possession, in order to become a fifth defender at points. If they need to switch play or reduce pressure, they need a goalkeeper who can play. Aimless kicking and control passing are different things, and City want to retain possession. Delving deeper and the talent of Adam Idah and Anthony Spyrou have earned them rave reviews, but the under-23 squad is now younger on average than a year ago. Calls for Idah to be chucked in at the deep end seem premature; this is a man who struggled to make an impact at under-23’s level last season. Admittedly, service was nonexistent, and his capability and potential are obvious for all to see. It’s difficult to believe that Idah was playing Irish schools football only one and a bit years ago. The fact his name is being touted with a look in for the first-team should be considered an achievement in itself. Idah needs to managed cautiously, they will have a strategic long-term plan with him, but the lad is seventeen. On one side of the coin, there is the argument for throwing him in and seeing if his talent is good enough to contend with the challenge of the rigours of the Championship. Part of every supporter would love nothing else than a young lad being given an opportunity on the big stage. But, on the contrary, there is a real need to be pragmatic about his development. So many young players lose their way because they aren’t exposed to football at the right level, sometimes they go into first teams and get swallowed and sometimes they require a loan to find a bridge between men’s football and youth team football. Idah is a shy and reserved character; clearly, there is a player with huge potential, but perhaps one which is further away from the first team squad than some may think. It’s a dangerous game, is youth development. It’s a bit fight or flight, and if you fail to impress, then the mental effect that can have on players can prove to detrimental to their further careers. Some have the ability to waltz into a first team and mature early – see James Maddison or Jamal Lewis – but other require a teething period and a cautious approach. Talent is one thing, but having the application and discipline to perform on the highest stage is arguably more important. Ask any youth coach, hard work beats talent when talent refuses to work hard. That is why so many players are emerging from the non-league setup. There is no pampering or multi-millions before they take a step into the first team; it requires a tunnel vision and a drive. Idah may possess those qualities, but if those who witness them already believe it is too soon, they are most probably correct. Steve Weaver, Dean Wright and Stuart Webber are all masters of youth development, they know how to source the potential of a player and make it a reality. Idah is training with the first team, that’s a method to bridge the gap, but there needs to be a significant improvement from him in the under-23’s and maybe even a loan before his name can be considered for a first-team role. Sometimes throwing them in can be more harmful than making them want more. A very good read and yes youth team to first team is a varst step to take and succeed in. Today the Spurs supporters are moaning about a youth player called Reo Griffiths cancelling his new contract with them to join Lyon he is the third youth player to depart spurs after cancelling their contracts this season. Poch and his team have a proven track record of developmenting young players and giving them a chance and he has said parents and agents are the worst thing in football with money. 1) Agents want their clients to progress up the football Ladder asap so they all earn more also it shows he has clients profroming at the high level so would entice other young players to his stable of talent. 2) Parents sometimes are convinced that their child could do better at another club and the other club offers enducements to sway the parents opinions in favor of their club. Spurs and other clubs are not entitled to a penny if a players cancels his youth contract and goes abroad that is why Dortmund, Lyon, and other european clubs are now watching for good players in England promise them a 2 year first team contract then sell them on. City so far haven’t been caught out but I read Man U and City are interested in Idah and city would benifit thst much at present if he goes but could put in a sell on clause. Most of the youth players from cities FA cup win are playing non league with only 1 maybe 2 playing in the lowe leagues and some of them were released from premiership clubs at 14 to 16 years of age city were lucky to pick them up but didn’t develop them into a first team prospect. There are now a few prospects at city but thats all they are till they get the chance to prove themselves be it a city or somewhere else, the leagues are littered with prospect that didn’t make it or given a chance to early and failed but came back a few years latter. An academy at any club must be the heart and soul of the clubs future but is also the biggest minefield for all to negotiate and is also a huge burden on a clubs finances. 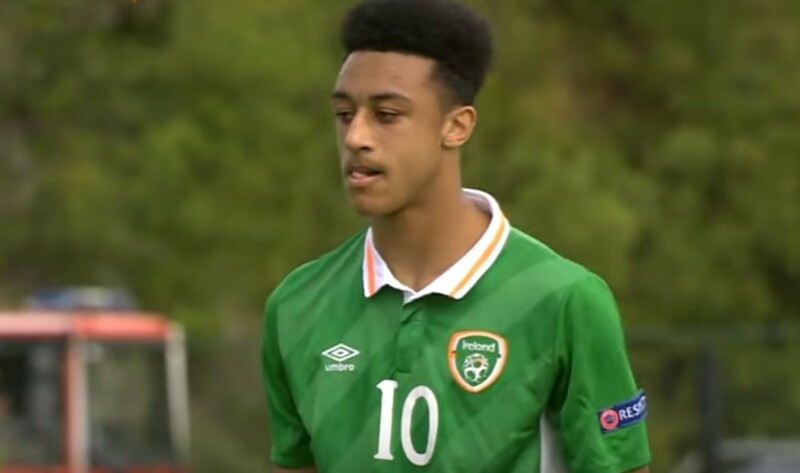 I thought Simon Power (an out and out winger) was our recent recruit from Irish University football rather than Adam Idah, whose heritage is equally Nigerian and Irish. I think we acquired him in England. Over the years very few of our “kids” stand out to me, but Chris Sutton and Darren Eadie never looked back from their debuts. Either Dave Stringer or Mike Walker quickly worked out that Sutton was more effective as a striker than the CB he began his career as. I will never forget Eadie’s debut against Vitesse Arnhem. You had to be there. There has been Robert Eagle, Che Wilson, Lee Power and so many more who didn’t make it. Saddest of all the Jamie Cureton-Adi Akinbyi combination who slayed the old reserve league but couldn’t cut it for us at top level. When do you put them in? is a question only a coach can answer. To continue as I didn’t finish above. We take youth players from Premiership clubs and give them a place to show their talents and prove to their parent clubs they sre worth a shot in their first team. Gunn exceptional all season and got a great move from Man City to Southampton after his showing at city. Edwards crap he is the player that has been called the English Messi at every level from club to youth internationals has shown what he was capable of until he gets to city and his attitude was off the scale turned up late for training, had niggling injuries and not wanting to play so returned to sender. It shows that loans from other clubs youth academy’s is a dangerous game if the player doesn’t put his heart into it and doesn’t exspect to be first team just because he comes from a premiership club. A good and well-informed piece, Connor. It’s tricky to get right, of course, but of special importance for a club in our position. I’m certainly glad we now have a set of people at Norwich who have recognised expertise in developing young players. Godfrey and Cantwell, for instance, seem to have benefitted greatly from their (deliberately very different) loans last year. For the first 15 minutes at Luton, watching our composed and confident young left back, I assumed Jamal Lewis had recovered sufficiently to play. Then I realised it was my first look at Max Aarons. Impressive. The modern day feeding frenzy of all snippets of news has a lot to answer for. Adam Idah has grown into a world beater from one Mourinho comment and constant hyping ever since through social media. Yes he has been excellent at age group levels and I hope and expect him to kick on and be an excellent, possibly PL player some day soon. But he must be allowed to grow at the right pace and I think/Hope our current set up will enable him to do that. Do I hope he leaps forth from the bench vs Birmingham, bangs in a hatrick and shoots us to promotion, of course but in the real world we may have to wait for him to have an impact. Take young Kruz Carter as another example, an 8 year old already getting an article in bury free press just for joining City’s academy program. As this demonstrates, I as a City fan am as guilty as any for looking for those snippets, I say looking for but with social media it just comes to us. I hope the kid does well but the odds most definitely are against him.